The Unification Church in Maryland is experimenting with a new approach to the pastorship: a team of part-time clergy mentored by the district pastor, Unification News has learned. On Sunday, January 20, 2013, Miilhan Stephens, a second-generation Unificationist, and longtime church members Jim Boothby, Kyoho Jones and Lorman Lykes were introduced to the congregation as the Pastor Explorer Team. After an exhaustive nomination and interview process, four committed community activists were selected from seven nominees by the Maryland Church Council to fill the position of Pastor by becoming an acting pastor team, according to the Maryland Church Community Newsletter. "We are overjoyed to be working with this excellent team,” Rev. Henri Schauffler wrote in an interview to Unification News. He continued, “All four candidates are highly qualified with very different strengths. The Maryland Church Council was instrumental in helping craft this new approach, and we expect the results to enhance the growth of the Church in Maryland. The Unification Church has traditionally used a top-down model for leadership and management, but with the advent of President Hyung Jin Moon's leadership in America, a new era of 'Freedom and Responsibility' has emerged. The partnership of the MD Council, the District Pastors and this new Pastor Explorer Team is a wonderful example of what can happen when the creativity of the grassroots is unleashed and the integrity and abilities of a wider cross-section of the membership is trusted." This trial will run for a period of three months, during which time each individual has the opportunity to explore and experience the various responsibilities and tasks that the pastor oversees. 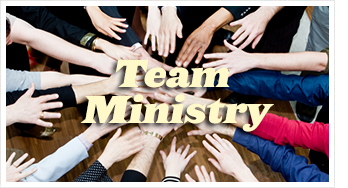 The pastoral team will be mentored by the District Co-pastors, Rev. Henri and Loretta Schauffler, and has been divided into four areas Acting Pastor, In-reach Associate Pastor, Out-reach Associate Pastor and Communications/ Administration Pastor. Each prospective pastor volunteered for his or her respective roles for the first rotation of three weeks: The Acting Pastor is Miilhan Stephens; In-reach Associate Pastor is Lorman Lykes, Out-reach Associate Pastor is Kyoho Pastor and Administration/Communications Pastor will be Jim Boothby. “A key point is accountability for results,” Boothby continued. “As in business we need to assess whether the job is getting done or not. So, a bit more of a professionalized expectation of results and progress has to be instituted,” he added.